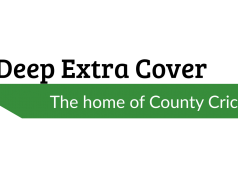 It wasn’t the start that last season’s top two had hoped for in the opening round of the new County Championship season. 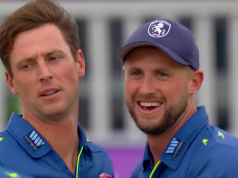 For defending champions Essex, their season is yet to get started after the remarkable scenes at Headingley which saw all four days of their opener against Yorkshire abandoned due to a wet outfield. Lancashire meanwhile might have wished they too hadn’t played, after losing their first Championship match at Old Trafford since May 2016. In a rain-affected match, which reduced the playing time to little over a day and a half, Lancashire were beaten by six wickets against newly-promoted Nottinghamshire. Such is the nature of early-mid April cricket, wickets came with great regularity across the country, but the final morning at Old Trafford – where 12 wickets fell in 15 overs – was perhaps the most remarkable wicket-fest of all. The Red Rose therefore are looking to bounce back and will head to Chelmsford with the aim of doing just that. Their much-lauded batting line-up didn’t fire in that opening game, albeit in challenging conditions, and they will want to see more from the likes of Haseeb Hameed and Keaton Jennings at the top of the order. Glen Chapple’s men also need to banish their away-day blues. Two successive seasons have come and gone without a victory on the road for Lancashire – with their last top flight away win coming at Durham back in August 2014. They finished last season with consecutive away defeats and will be very keen to avoid making it three in a row. These two sides played out two fiercely competitive matches as they finished as top teams in 2017. In the opening match of the season, Dan Lawrence’s final-day century secured the hosts a draw at Chelmsford before just one innings a side was possible in a rain-affected draw at Old Trafford. It was a draw that all-but secured Essex the title, but both matches last season underlined how closely matched these two units are. Having not even reached the stage of naming a team against Yorkshire, it’s difficult to assess the Essex squad ahead of this one. The obvious change from last season is that they now have a new coach, Anthony McGrath replacing the new England bowling coach Chris Silverwood. On the field, they look to have a perfectly-rounded squad once again, with runs aplenty and a threatening bowling attack which includes Division One’s top two wicket-takers from last season in Jamie Porter and Simon Harmer. Essex will just be itching to take to the field and get their title defence properly underway. With their bowling attack looking so strong, the onus will be on the batsmen to put the runs on the board. In Nick Browne, they have an opener perfectly equipped to do just that. His 952 runs last season came at an average of 43.27 and he’s a consistently strong performer. Browne will be keen to notch a few more centuries this season, having got just the one on the way to the title last year. In his long career, 43-year-old West Indies legend Shivnarine Chanderpaul has achieved many things. But last week, a fascinating stat emerged that over the winter he had become the man to play first-class matches at the most stadiums in the history of cricket. His appearance at the Brian Lara Stadium in Tarouba was the 116th different stadium he’s played at. He can’t add to that tally on the county circuit this year, but he will want to add more runs at Chelmsford than he did last week. Scores of 11 & 0 will not have been what Chanderpaul was looking for. 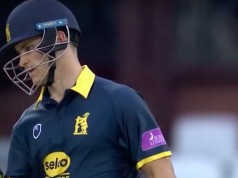 Jamie Porter will spearhead an Essex attack which could include Sam Cook, who impressed during the match between these two at Old Trafford last season. Lancashire’s team likely changed when their opening match didn’t begin until day two, making them lean towards an all-seam attack. With a spinner likely to return this week it will be a battle between Stephen Parry and Matt Parkinson. Jordan Clark may drop out. Saqib Mahmood is again missing from the 14-man squad. It’s set to be dry, sunny and hot across the four days at Chelmsford, with temperatures hitting 25 degrees on Friday. The pitch tends to offer a little to the seamers and may turn later on, but generally is a decent track to score on.